One of the best ways to motivate office staff is to reward them for a job well done. This doesn’t necessarily mean handing out bonuses for every completed project. However, a simple act like buying lunch for the office or acknowledging someone’s hard effort a company email can go a long way towards motivating that staff and building up loyalty. It also helps if you can provide a safe and clean work environment for the staff. No one likes to work when they are surrounded by clutter. How many things in your office have been tagged for removal but are still there? There is an easy solution for that: hire Junk King Salt Lake City. One session with these junk hauling pros and there won’t be any old office furniture issues. Clearing out old office furniture is going to make more room even if it is just a few chairs. If that furniture is in the storeroom, then it is impeding your staff when they need to come in to find something. There could also be several pieces of office equipment that has been replaced that you’re holding onto. Tossing out a copier or printer is not something that should be done with the weekly garbage. This is considered to be e-waste and has to be disposed of a responsible manner. The team from Junk King will strive to make sure those office equipment items get dropped off at one of those certified recycling centers. The office furniture could be donated to a charity. All of this is in keeping with Junk King’s environmentally friendly disposal policy. If you promote your company as a green business, then you can extend that philosophy by hiring vendors who are on the same page. That would certainly apply to Junk King. Junk King operates with a pricing scale that is based on a flat fee. That’s the covers all the labor, truck usage and disposal. You’ll know what that flat fee is before the work begins. It will always be based on the volume of the items you getting rid of and not how heavy they are. If you were to shop around, then you would find the Junk King’s rates are extremely competitive and fair. The smart approach for your office furniture removal is to bring in Junk King Salt Lake City today. They will get it done the fast and affordable way. 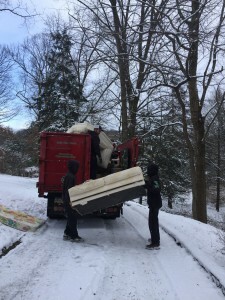 This entry was posted in Salt Lake City Junk Removal and tagged junk king, junk removal, office furniture removal on March 31, 2019 by Junk King. Last updated March 31, 2019 . Around the house, you might be able to let the cleaning “slide” for a week or two. That is especially true if you’re not expecting any company. However, at the office you need to keep that environment clean all the time. That’s not just for client visits but also to increase the productivity them on your staff. Most offices have regular readers who come in at night for trash removal and light dusting. If that is all your office needs, then you’re ahead of the game. When you need more extensive cleanup like the removal of office furniture and equipment, then it is time to bring in the pros from Junk King Salt Lake City. How many pieces of equipment in your office have been replaced? What about chairs and desks? Are there are a few that are been stacked away in a corner or in a storeroom? Holding onto those big pieces makes everything seem cumbersome. Whatever you do have in your storeroom you want quick access to and that can be a challenge when you have to maneuver around old. One session with junk King can get all those items removed efficiently. Junk King will dispatch a team of movers to facilitate your office cleanup. Most of their day is typically spent with helping homeowners clear out rubbish from basements, garages and closets. That has provided them with a lot of lifting experience. Whether your offices on the first floor or the top floor, the Junk King crew will know how to maneuver all those items out without damaging any floors or walls. Cost is always a factor when you hire an outside vendor. Junk King strives to make this process hassle free and affordable. There pricing policy is based on how your items will be packed onto the truck. Because the Junk King crews want to get as much rubbish into his little space as possible you are sure to benefit from the low end of the price scale. This is just how Junk King operates. Take care of your big office cleanup today one call to Junk King Salt Lake City. This entry was posted in Salt Lake City Junk Removal and tagged junk king, junk removal, office cleanup on February 28, 2019 by Junk King. Last updated March 3, 2019 . Spring break is just a few weeks away the big question will be are you having out of town visitors? Salt Lake City is a great place to take a mini vacation and opening up your home to family and friends is a wonderful way to welcome in the warmer weather. But that might mean clearing out some rubbish first. That is not to say that you have junk all throughout your home but you might be using the spare bedroom for storage. That is not going to make anyone feel welcome. Thankfully, all it would take is one session with Junk King Salt Lake City to get that rubbish cleared out once and for all. How soon would you like to get that rubbish mean? If you call junk King this morning, then you might be able to have everything gone by tomorrow. You could also have everything on by lunchtime! Junk King understands how important it is for you to get things taken away on your schedule. That’s why they only ask for you to set aside a two-hour window on the day of your choice. That two hours will allow the crew to get from one appointment to another. Once they arrive, they’ll move fast. Before you know it all your rubbish will be gone and you can get back your day. The added benefit with hiring Junk King is that you will be reducing your carbon footprint. Junk King has been a recycling company since its inception. And it’s not just about dropping scrap metal or plastic off to a recycling center. Anytime they can take furniture, clothing or other household goods to a charity that counts as recycling, too. The only goal is to keep those rubbish items out of a landfill. If they can be repurposed, then that’s what Junk King will help make happen. Because of the two-man crew working with you there won’t be any limit to what you can get rid of. Any bulky or heavy object that’s taking up space can be hauled away. That can be totally transformative for your home. Make your spring break guests feel welcome in a house that’s clear of rubbish. One call to Junk King Salt Lake City gets it done. This entry was posted in Salt Lake City Junk Removal and tagged junk king, junk removal, spring break on February 26, 2019 by Junk King. Last updated February 26, 2019 . Property managers do a lot of hiring of service professionals. Once they find a plumber, electrician or handyman that is trustworthy, affordable and gets the job done they’re going to utilize their services on a regular basis. That’s because property managers don’t have a lot of time to waste with regard to getting things fixed at the rental units they are in charge of. Things need to move fast and nowhere is that truer than when a tenant moves out. If that renter has left the apartment like they should, then it should be ready to rent again the next day. But if they leave behind any rubbish, then it’s got to be cleaned up ASAP. The professional junk haulers that are the first pick of many property managers is Junk King Salt Lake City. Doesn’t it make sense to use them for your junk removal needs? What property managers appreciate about hiring Junk King is the fact that Junk King does all the work. The crews who are assigned to the task of rubbish removal don’t need a lot of supervision. They only need to be told what has to be removed. That’s actually a very short conversation! Once they’ve been told that, they can provide an estimate for the services. They’re basing that estimate on how they intend to pack up the truck. Will it be half of the truck or the entire truck? There is a different price for each amount of space used. Since they need to pack up the truck tightly you can look forward to getting the low end of the price scale. There won’t be a limit on size or weight. Junk King crews have loaded everything from pianos to hot tubs. This is why they are so popular with property managers. Nothing is ever a problem for Junk King to haul away! If you need to session with Junk King, then you can book one online and save $20 right from the start. Transforming your home into a junk free so is easy. Just use the expert junk haulers that property managers hire: Junk King Salt Lake City. This entry was posted in Salt Lake City Junk Removal and tagged junk king, junk removal, property managers on January 31, 2019 by Junk King. Last updated February 1, 2019 . Lee Kay Ponds is a wetland in western Salt Lake City that is a popular spot for birdwatchers and other lovers of nature. Unfortunately, some folks have decided to use this as their illegal dumping ground. It defies explanation why someone would go to so much effort to load up their own pickups, drive out to the ponds and then hurl old tires, furniture and other trash. The result is that the ponds became a toxic eyesore. Fortunately, the Utah Department of Environmental Quality stepped up and did some intense cleanup to reverse the effects of the dumping. That’s great news for the environment. Thankfully, there are more responsible Salt Lake City residents than irresponsible ones. There are also plenty of businesses that are doing their part to keep the environment clean and leading the charge is Junk King Salt Lake City. They’ve been proud stewards of the environment every since their operations began over 14 years ago. Where your rubbish ends up is important but you’re not always able to know its final destination. With Junk King on the job, you can rest assured most of what they collect will be diverted away from local landfills. The alternatives are recycling centers and charities. What kind of items can go to those locations? Plenty! All the furniture, clothing, appliances and household goods can be directed to the charities. Yard waste, scrap metal, concrete, lumber and asphalt can go to the recycling centers. It isn’t complicated but it is time consuming. But this is something that Junk King is dedicated to and so time is never an issue for them. If you want to schedule a rubbish removal session with Junk King, then make the call today or set up the appointment online. You don’t have to provide Junk King with a list of items that you’re going to turn over to them but you should give them general idea if this is going to be a big job or a little one. They just want to make sure you have the right amount of movers. Every session will be staffed with at least two movers but on the bigger jobs, they’ll send over even more crewmembers to make sure it all gets done on the same session. When you need fast and responsible rubbish removal don’t hesitate to turn that job over to Junk King Salt Lake City. This entry was posted in Salt Lake City Junk Removal and tagged junk king, junk removal, rubbish removal on January 27, 2019 by Junk King. Last updated January 27, 2019 . Do you remember when you first moved into your home? What was the first item that you brought in or hung up that made it feel special? Sometimes that is a photo or piece of art that you’ve carried with you from place to place. It could also be a comfy chair. Maybe it’s just the fact that everything got unpacked and put away in its proper place. Now that you’ve lived in the home for some time there may be some things in there that aren’t making it feel so inviting. We are talking about all the rubbish that has accumulated over the last couple of years since moving in. Even in just a single year there could be a lot of unwanted stuff cluttering up your living space. A great new year resolution to make would be to have a rubbish free home. Junk King Salt Lake City is the perfect company to help make that happen. Before you book your session with Junk King, you’ll want to go through your entire house to decide what you want to get rid of. The operative word there is “want.” There should never be a hesitation to ask Junk King to remove something from your home. Can they bring something down from upstairs that’s very heavy? Yes. Can they carry something up from the basement that’s bulky? Yes. Can they take something apart in order to fit through the door? Yes. Given those parameters you can see that there isn’t a lot of limitations when it comes to removing rubbish from your home. Junk King will take anything and everything! Before the crew starts the lifting and loading their want to lock down the price. This will be a fee that is based on how your stuff is going to fit on the back of the truck. The Junk King crews are all expert packers. That will provide you with a low price point because they want to make sure they can get as much onto the truck as possible. 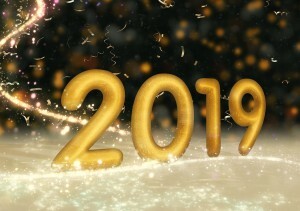 The most efficient and affordable way to achieve the goal of a rubbish free home for the new year is to give that job to Junk King Salt Lake City. This entry was posted in Salt Lake City Junk Removal and tagged junk king, junk removal, new year, rubbish on December 31, 2018 by Junk King. Last updated January 1, 2019 . Junk King prides itself on making the entire junk removal process easy from start to finish. It all begins with that phone call to set up an appointment. You’re going to like how well you’ll be treated. The crews working for Junk King are great problem solvers. You present them with a challenge and they’ll make sure to handle that challenge in a very efficient and friendly manner. You’re not can surprise them with any kind of junk removal request. Yes, it is not just homes that junk King can help clear out but also construction sites, businesses, apartments and storage facilities. One junk removal session with Junk King Salt Lake City and you will probably be writing your own positive feedback. Are you ready to make that happen today? This entry was posted in Salt Lake City Junk Removal and tagged customers, junk king, junk removal on December 26, 2018 by Junk King. Last updated December 26, 2018 . The phrase “the more the merrier” gets quite the workout at this time of year. If you are hosting a dinner for family, then they might be bringing additional friends who have no place to go for the holidays. Anytime you throw a holiday open house there’s always more people that show up than expected but the more the merrier, right? The only time that phrase might not be applicable is with overnight guests. Unless you have a home with several available guestrooms, you wouldn’t want a constant stream of overnight visitors. 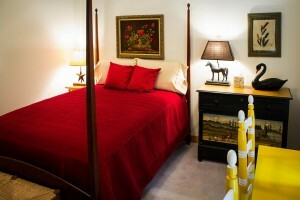 However, one special visitor in one guestroom is easy to manage provided that guestroom is ready before they arrive. That is where Junk King Salt Lake City can be a big help. Our guestrooms tend to become an extension of our closets. But instead of filling up a guestroom with old clothing it will often get filled up with worn out furniture and electronics. Basically, anything that is not needed ends up in the spare room. The idea is that you may one day want to use that stuff you. The reality is that once those things get into the guestroom chances are it will be used again. All of that unwanted stuff can be turned over to Junk King for quick removal in a single session. Once Junk King has cleared out the guestroom you can direct the crew to remove objects from throughout the rest of the house. This is your chance to finally get heavy pieces of furniture brought down from the attic or up from the basement. Remember, if it is never going to be used again, then get rid of it. Whatever you turn over to Junk King has a shot at being repurposed. There are plenty of charities that Junk King works with that accept all types of furniture, appliances and household goods. Even if those items are broken, the charities will often hire folks from the local community to make repairs. This really is the best way to get rid of these kinds of items. Your out of town visitor will appreciate staying in a guestroom that Isn’t full of clutter. The Junk King Salt Lake City help make that happen. This entry was posted in Salt Lake City Junk Removal and tagged guestroom, junk king, junk removal, rubbish on November 30, 2018 by Junk King. Last updated December 2, 2018 . Junk King is committed to helping you reclaim any space and that’s one of the reasons that our Salt Lake City – Apartment Cleanout services are so popular. It doesn’t matter whether you are a landlord or tenant, we can help you get rid of any junk that’s built up in that space with a guarantee to beat any competitors’ prices. Our team is well vetted and licensed and insured. That means that when you hire us, you can rest assured you’ll have a hassle free experience. What’s more, you’ll get the job done right every time. Moving from one apartment to another doesn’t need to be overwhelming. We can help by clearing out the junk from one and supplying a few tips to make a transition goal smoothly. •	Taking the time necessary to make sure any move goes smoothly is a priority. For example, we like to suggest that you take two months to start planning a move from one apartment to another. Of course, that will include our services but there’s more to it than that. Take the time to put all the things you think you won’t need in one room. That could include old paint cans from a previous renovation and some furniture that you won’t be taking with you. This kind of organization makes the move much easier right from the start. •	An inventory is also an excellent idea. Making a checklist is the perfect way to help you decide what goes and what stays. Keep in mind that we are big on recycling and can take away a lot of your electronic waste to the proper facilities. We pride ourselves on having some of the most innovative and user-friendly Salt Lake City – Apartment Cleanout facilities. We’ve even catered to those people who are looking for foreclosure cleanouts. It’s important to make sure what you want to rent looks as good as possible, that can be difficult if a previous tenant has left some of their junk behind. We are in the business of providing eco friendly safe and efficient foreclosure services that include buildings as well as private residences too. Getting the process started is quite often as easy as texting us a photo. After that, our Salt Lake City – Apartment Cleanout team will be on the job for you. The wish everyone has for the holidays is that they get to spend time with loved ones and friends and that there won’t be any drama! As long as that is accomplished then the holidays are considered a success. There are some ways that you can ensure that there won’t be any stress for the holidays. It helps to get all the shopping done early so that you can avoid all the “procrastinators” who cram the malls in the last few days before Christmas. You also might want to make your home open to friends and family. Whether you have that open house on Christmas Eve, Christmas Day or anytime in between you want everything to look festive and nice. 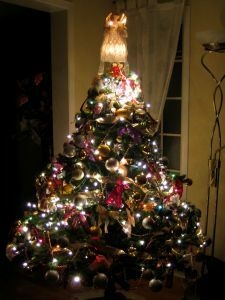 The best way to start those holiday preparations is with a junk clearing session from Junk King Salt Lake City. One appointment with these junk removing pros will have your home looking better than ever without any rubbish. What are some of the big things you’d like to get out of the house for the holidays start? Is there a couch or recliner that has seen better days? Are there broken appliances that might be getting replaced? What about all the old laptops, computers and DVD players? Just because you found a spot for them in your home doesn’t mean you need to hold onto. All of that stuff can be loaded onto the Junk King truck very swiftly. Junk King is to provide you with an competent moving crew who will handle all the work from start to finish. You won’t even have to bring anything down from upstairs. Knowing that you have two movers at your disposal could change your list. Take full advantage of this team and get rid of anything that you can throw out in the trash. When you hire Junk King to remove the rubbish from your home, you’re also hiring a “green partner.” Junk King makes it a point to avoid a landfill all costs. What you turn over to them today can end up at a charity or recycling center. That really is the best place for all your rubbish. Before the holidays decorations go up make sure you get the junk taken out. One call to Junk King Salt Lake City gets it done. This entry was posted in Salt Lake City Junk Removal and tagged holidays, junk king, junk removal, rubbish on November 25, 2018 by Junk King. Last updated November 25, 2018 .